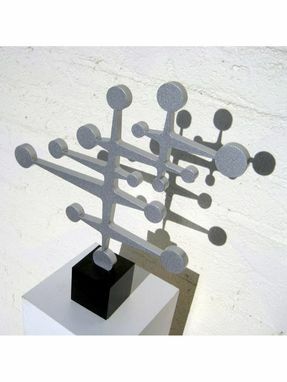 This unique sculpture is inspired by jacks pieces from the 1950s game of Jacks. 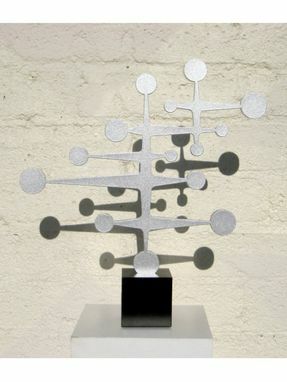 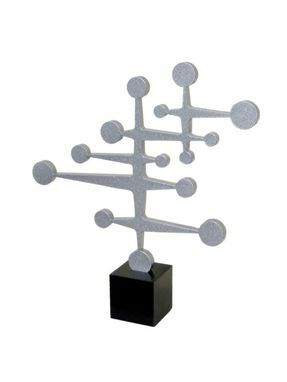 The sculpture is made of aluminum and measures 17'' tall. 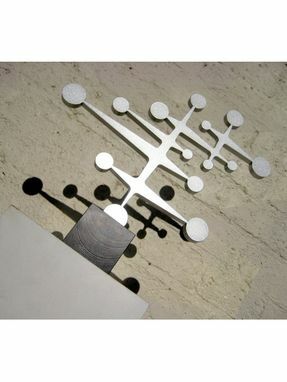 The aluminum was coated in alien silver powder, giving it a slight shimmer.